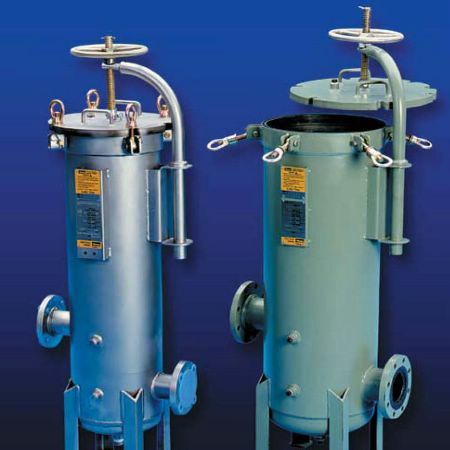 Fulflo® SF Multi-cartridge Filter vessels meet a broad range of liquid and gas applications. All details of design, materials, construction and workman-ship of the SF vessel series conform to ASME code. The SF vessel Series accommodates double-open-end (DOE) and single-open-end (SOE) cartridges in 10 in, 20 in, 30 in and 40 in equivalents. • Mechanical cover lifts of carbon steel construction standard on models SF12 and SF19.